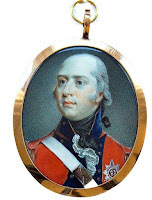 Unlike his hedonistic eldest son, England's King George III (1738-1820) did not philander. He settled down with his German-born wife, Charlotte (1744-1818), at age 23, and she proceeded to bear him 15 children over the next 20 years. He did not take mistresses. He lived frugally. And he derived great pleasure from his large brood--until the boys became men, that is. Eleven of the children would reach old age. Two boys would die before the age of 5, and his youngest daughter died while in her twenties. Of the 15, eight were boys and seven were girls. Two of the sons would rule England and another who would rule Hanover. The younger brothers are less famous and tend to blur, even though they each led distinctly different lives. The girls, too, all seem to run together. Perhaps that is because their lives were all rather the same--as bland as their parents. The living conditions of King George's daughters came to be known as The Nunnery. That is because none of them was allowed to marry at the age when most young ladies take husbands. Three of the daughters would eventually marry--but not until they were past the age of child bearing. 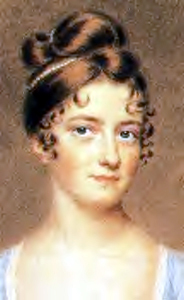 Augusta (1768-1840) married the Duke of Saxe-Coburg, and Elizabeth married the Prince of Hesse-Homburg when she was 48 years of age. The only other sister to marry was Mary, who married the Duke of Gloucester, whose husband's father was her father's brother. The boys were raised in pairs, sharing domiciles and tutors. For example, the Prince of Wales and his brother Freddie (later Duke of York) were exactly a year apart, and they were never separated from one another. Freddie was the king's favorite son, and when it became clear his elder brother was a bad influence on him, the king sent Freddie to Germany. 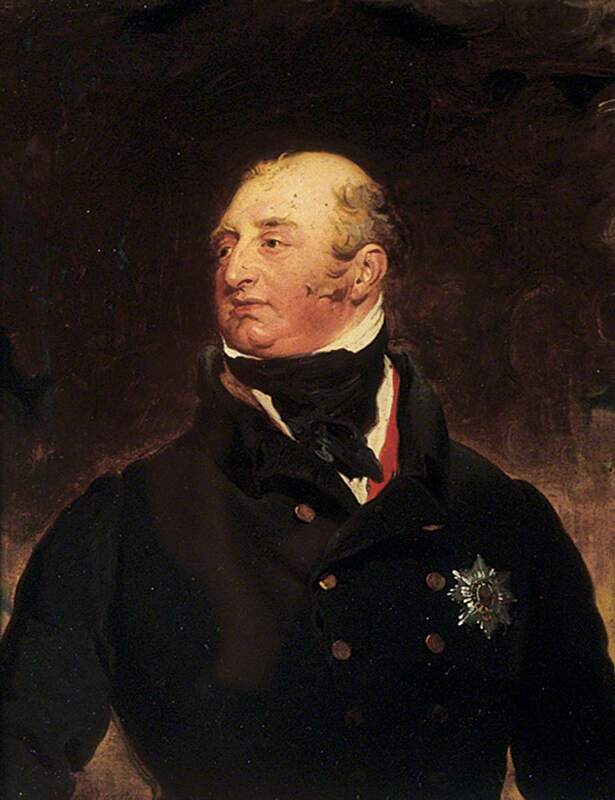 The next son, Edward (1767-1820), later known as the Duke of Kent, lived for many years with a French widow. He was a stern military man. 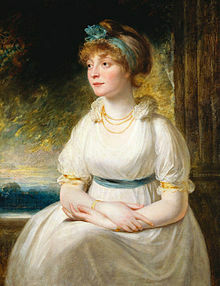 After the regent's daughter, Princess Charlotte, died in childbirth in 1817, he would be one of the brothers scurrying to take a legitimate wife in order to father a child who would inherit the English throne. He married a young Saxe-Coburg widow who had already borne two children. 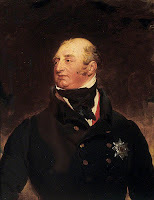 She bore a daughter, Victoria, who would succeed her Uncle William as ruler of England in 1837. Son Alfred, who was born in 1780, died at age 2. At his death, the king said, "I am very sorry for Alfred, but if it had been Octavius, I should have died too." Months later, Octavius, who was born in 1779, became ill after being vaccinated for smallpox, and he never recovered. His father was almost inconsolable over the loss of his next-to-youngest son. Christians were not the first to observe this beginning of new life. The celebration stretches back so far, it’s mythical. 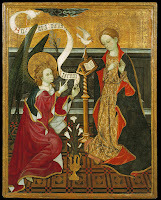 Before Christ’s birth, the renewal of the earth after a long, hard winter was a joyous time. Plants now would grow, animals give birth, and the period of hunger and discomfort would come to an end for another seven or eight months. The coming of spring, then, was vigorously celebrated. People rejoiced, worshipping the gods and/or goddesses associated with fertility and life. One such was Eostre (Ostara). 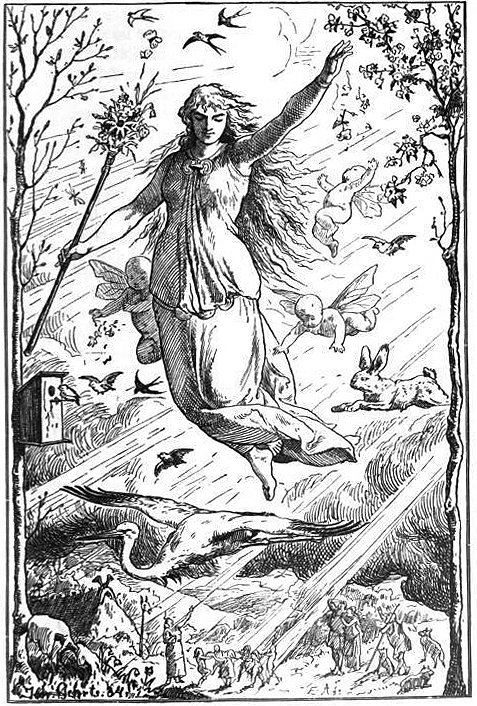 Eostre was a Saxon/Germanic goddess of fertility. Her symbols were said to have been the egg and the rabbit. But Pope Gregory XIII, in 1582, revised the calendar, dropping ten days. The Gregorian Calendar became common in most European Catholic countries, but Protestant England didn’t adopt it until 1752. Oh, and that English Calendar Act in 1752 also moved the beginning of the year from March 25 to Jan. 1. That’s why some dates seem ‘flexible’ when reported in historical documents. 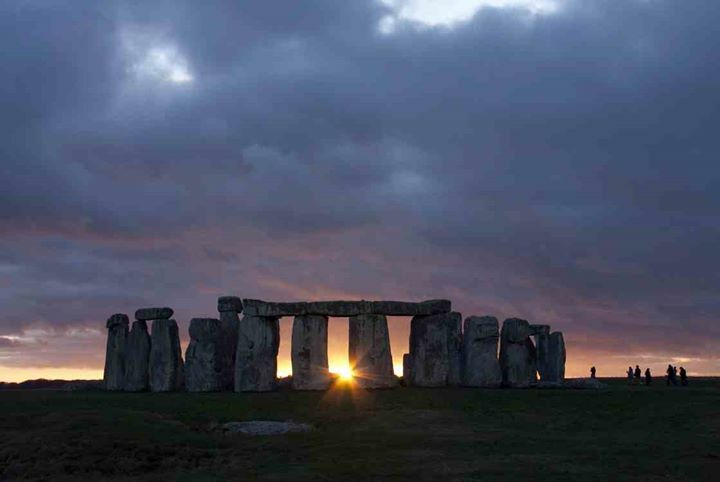 The exact date of the equinox can be a bit nebulous. In fact, it can occur March 19, 20, or 21. Balance, yes. But magic? Contradictory? 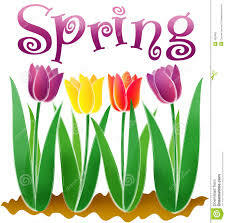 Not for Spring, with its rebirth and regeneration and its promise for a new, bright season. I don’t know about you, but when I see trees budding and daffodils and tulips winking brightly around the lawn, I feel a bit of magic in the air. 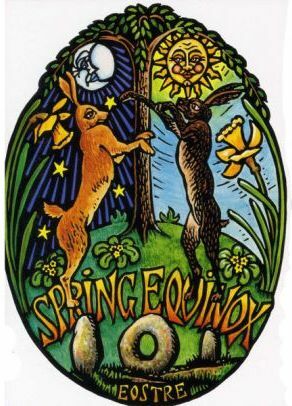 Happy Vernal Equinox. Happy Lady Day. Happy Spring. 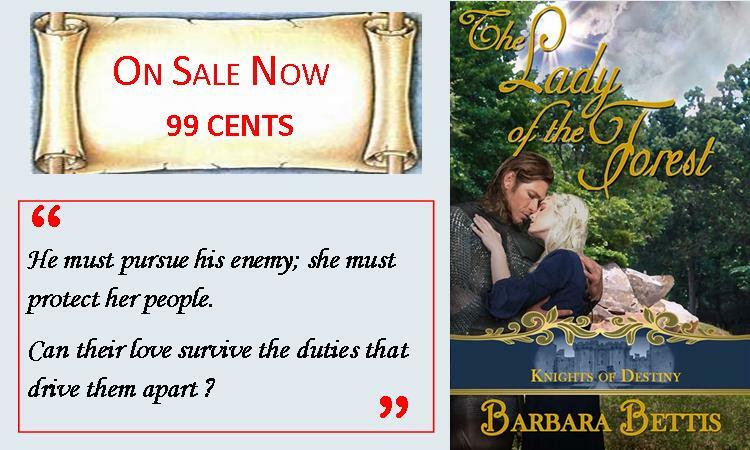 Barbara Bettis is the author of medieval romance and Heroes to Live For. 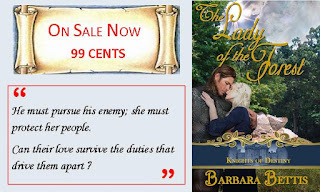 Her latest, The Lady of the Forest, is currently on sale for 99 cents. So today is St. Patrick’s Day, which is and isn’t a most appropriate day to talk about what it takes to put Irish dancing together. As we discussed in last month’s blog, no one can say for sure how long there has been Irish dancing, but although we assume the ancient ancestors of the Irish danced. From earliest history all around the world, people have danced, and since there is very early Irish music, and worldwide dancing came before music, it is likely that the Irish were dancers from the beginning. Of course, whether or not they danced as they do now is unlikely. For one thing, Irish dancing has been shaped by the experience of the people in Ireland, just as other countries shaped different kinds of dance shaped on their experience. What is unique about Irish dancing—and what captured the attention of the world audience first with the Eurovision Song Contest demonstration which gave birth to Riverdance and its followers—is that Irish step dancing is unique in that the dancers have a controlled and rigid upper body, straight arms and back, and quick intricate steps with the legs and feet. How this happened has given birth to many a tall tale, but it seems most likely it came from the reality that neither the Catholic church nor the ruling British approved of dancing. The church ruled against it on grounds of immodesty and immorality. The British wanted to stamp out anything that was distinctive of Ireland, starting with their religion, with the goal of turning the people into Englishmen and –women, to the extent that was possible. 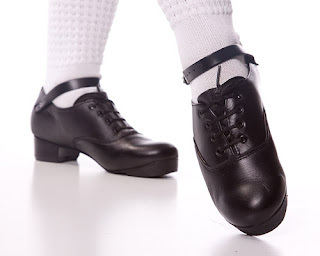 The reality was that Irish dancing was shaped by traveling dancing masters, who went from town to town and village to village of Ireland beginning in the 1750’s and continuing until as late as the 19th century, earning their pay from people wanting to learn to dance, or to dance better with more remarkable steps. The space available to the dance master was seldom very large, and sometimes as small as a tabletop or top of a barrel, which ruled out sweeping motions or dancing across wide areas. The dancing styles became very contained, with the feet and legs performing intricate maneuvers while the arms were held firmly at the sides. Now, as Irish dance has swept worldwide, although much of the fascination remains in that very containment, dancers do move more freely than they were able to do then. In general, there are two types of Irish dance: the céilí dance, done by as few as 2 dancers, or as many as 16, when the dancers are dancing in a square, the style probably adopted from the French quadrille. Or a céilí dance can be danced by an unlimited number of couples in a row, or a circle. These dances are often fast, and can be very complex, when danced by experienced dancers. It’s important to note that a céilí, which is a social gathering that includes dancing, is not the same as céilí dancing, which is a specific type of Irish dance. Irish stepdancing is a performance style, also derived from tradition. Stepdancing has two main types of dance which vary in the type of shoe worn. There is soft shoe, in which a shoe made of soft leather like a ballet shoe is worn, with ties across the foot and up the leg or down the sole. These dances are done either with black tights or with what are called poodle socks: white socks that go to the knee and have ribs that keep the ties in place. 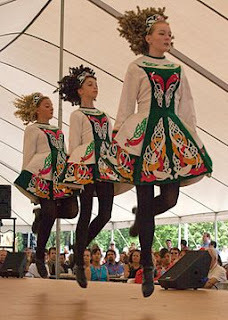 Different dance schools have different costumes often using Gaelic designs, like those taken from the Book of Kells, and these days the dancers often wear curly wigs the color of their own hair, to give a more old-time appearance. Soft shoes are als called ghillies. Men wear black leather shoes with a hard heel with the fiberglass pad, called reel shoes. Even when wearing soft shoes, men’s dancing features hard heel clicks. Hard shoes are those worn when the rhythm of the steps is the important part of the dance. These shoes are worn by both men and women, with a heel. 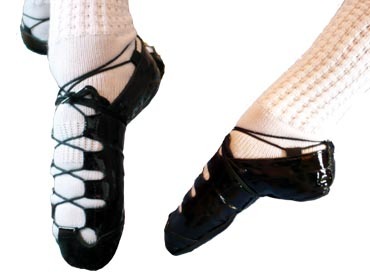 Originally hard shoes had taps made of metal or leather with metal nails, but now dancers have fiberglass taps on the toes and heels, both to be lighter and to make the most of the sound. Now most Irish dancers take part in the competitions, which have strict rules. An organized dance competition is called a feis (pronounced fesh), which means “festival” in Irish, but has come to apply mainly to these competitions. See if you can find one locally: they are great fun to watch as they move up through the levels, from very young beginners up to experts who have been dancing for years. The Cure for What Ails You ~ Cornish Remedies via Katherine Bone! A thousand ways from thence we are sent home. Modern medicine has played a significant part in the longevity of people living in the 21st Century. Given the resources at our disposal; family doctors, hospitals and emergency rooms, local pharmacies, and extended life expectancy, it’s difficult to understand how people dealt with common ailments like influenza, disease, and catastrophic injuries long ago. Especially when people died for reasons that were oftentimes classified as 'just rewards'. In Cornish Sayings, Superstitions and Remedies, I’ve discovered how the Cornish people dealt with what ailed them. What I found is astounding! 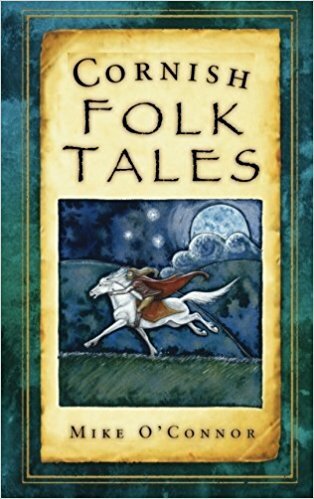 Given that Cornwall is a country unto itself, its people the descendants of Druids, Celts, Welsh, hearty fishermen and miners with ties to the earth, it makes perfect sense their way of life relied on legend, lore and superstition. But before we look deeper into how Cornish people remedied maladies, let’s take a look at how long it took for penicillin to reach the general population. · In Egypt, Greece and India, moulds were used to treat infections. · In Russia, warm soil healed infectious wounds. · In 150 BC Sri Lanka, soldiers prepared for war by cooking oil cakes for days and preparing poultices made from the cakes for battle injuries. · In 1600s Poland, wet bread mixed with cob webs was applied to wounds. · In 1640, the King’s Herbarian, John Parkinson, records the benefits of using mould in medicine. · In 1870 United Kingdom, the founder of St. Mary’s Hospital, Sir John Scott Burdon-Sanderson, discovers mould produces no bacteria. · In 1871, Joseph Lister, an English surgeon tests contaminated mould urine samples, describing the action on human tissue as Penicillium glaucum, for the first time. · In 1874, William Roberts studies moulds for bacterial contamination and notes bacteria is absent in Penicillium glaucum cultures. · In 1875, John Tyndall demonstrates Burdon-Sanderson’s Penicillium fungus’s antibacterial action to the Royal Society. · In 1923, Scottish biologist Sir Alexander Fleming cultivates mould and names the resulting culture, penicillin. Cornish people are strong, stout-hearted survivors who believe in ghosts, ghouls and goblins. They’ve long believed giants will return to reclaim the moors, piskeys own the fields and mermaids rule the oceans. And they’ve used a mixture of herbs and lore to treat infections, disease, and maladies with superstition and remedies passed down through generations. · Snake bite? No problem. Adder bite is easily treated with plantain and salad oil. Or simply lay the bruised dead body of the adder on top of the bite as an infallible cure. · Catch a cold? Poor dearie. What you need is a drought of boiling water over a handful of herbs and swallowed while hot. If that doesn’t work, you could also bath your feet in mustard water and drink boiled cider or whisky with hot water and sugar. Elder tea made from dried elder flowers or leaves might do you good. Or drink juice from turnip slices with sugar in between. · Feverish? You need elderflower. · Got a cough? Find some Horehound. · Queasy, sick to your stomach? Chamomile and elder tea will purge what ails you. · Whooping Cough cramping your style? Slice an onion and layer it in a basin, alternately with brown sugar. Allow mixture to stand overnight. Just 2 tsps. of this syrup 3-4 times a day will chase your cough away. Children, sick with whooping cough, should run with sheep or tie a muslin bag full of spiders around their necks to ward off coughing spells. · Not getting enough Vitamin C? Treat your scurvy with extra burdock burs. · Aches and pains got you down? Use an ointment of mallow for your inflammations. 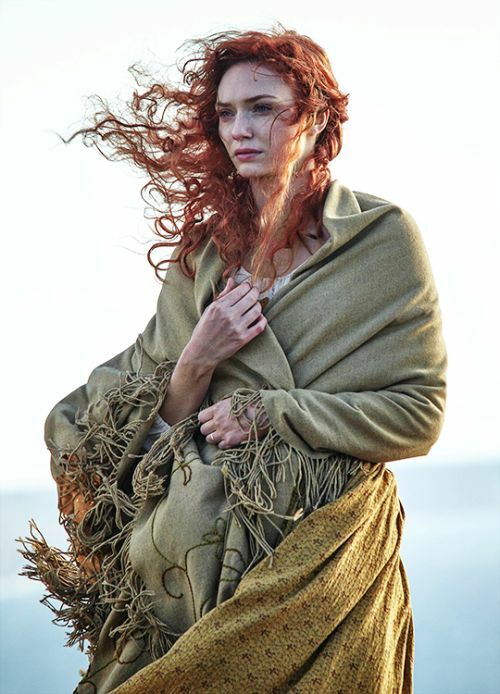 · A south-westerly wind too breezy? Earaches are best remedied by applying a piece of cooked onion in a stocking to the affected ear. · Never underestimate the supernatural power of poultices. · Having trouble breathing? Treat your pneumonia with hot fomentations. · Don’t underestimate the power of a dead man’s tooth. Carry this infallible charm in your pocket. · Colic a problem? Stand on your head for fifteen minutes. · Can’t believe you ate the whole thing? If heartburn has gotten you down, use this cure of drying and powdering black spiders. · It ain’t over until the sick woman sings. Cut a live pigeon in half and lay the bleeding parts at her feet. · Bubble, bubble, boils are trouble. To cure a boil, creep on your hands and knees beneath a bramble grown into the ground at both ends. If that doesn’t work, you can always bore a hole in a nutmeg and tie it round your neck then nibble, nine mornings fasting. · Find an unusual lump? Place the hand of a man who committed suicide on your tumor and it will go away. · Bleeding much? Apply a church key to the wound to stop bleeding or use cobwebs. · Can’t breathe? Here’s a cure sure to ease your asthmatic symptoms. Roll spider webs into a ball and swallow them. · Got tuberculosis? This is very important. 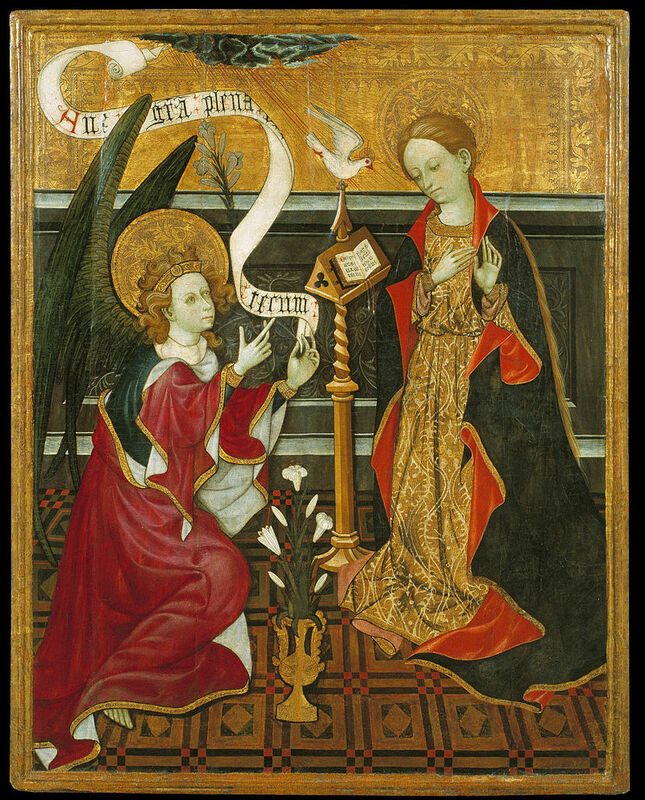 Take a spoonful of earth from the grave of a newly interred virgin, dissolve in water, and drink, fasting to cure decline. · Shingles a problem? Take blood drawn from a cat’s tail and smear it over the affected area. · Can’t stop bleeding? Draw a sign of the cross on wood, stone, or metal and bind over the wound, whether you be man or beast. And if your nose is bleeding, drop a key down your back. · Stye in the eye? Stroke the eye nine times with a wedding ring or a Tom cat’s tail. · Can’t get rid of your hiccups? Spit on the forefinger of your right hand and cross the front of the left shoe three times saying the Lord’s Prayer backwards. Scaring the affected person also helps. When all else fails, visit a white witch, a peller, for traditional remedies that come in the shape of a wind charm. Though the Cornish language is nearly all but gone like wolves that used to cry and weep over the grassland, their love of life and the miracle of each sunrise and sunset lives on. 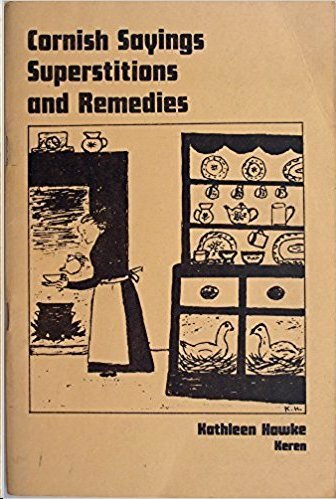 What are some of your family remedies? Sparkle has always caught the human eye—and for as long as history has existed, people have decorated themselves, not just with clothes, but with gems. 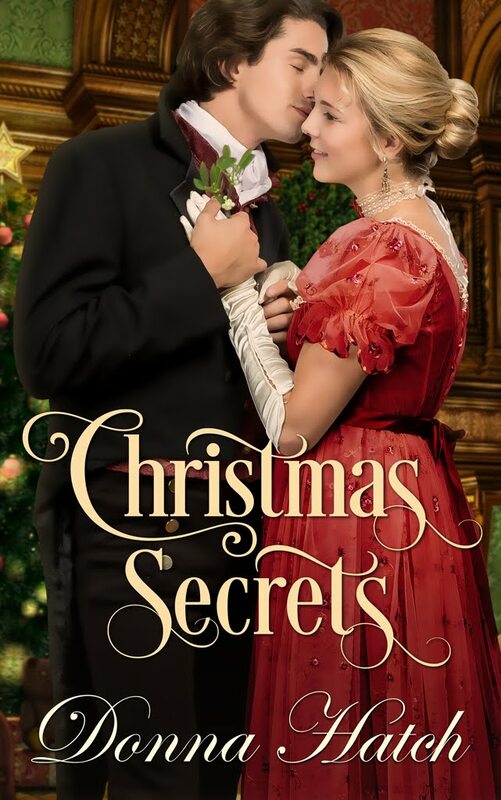 There is something in the allure of a pretty stone—I’ve used it myself in my Regency novel The Cardros Ruby where a legendary stone that dates back to Elizabethan times haunts the family history into the 1800’s. We certainly all know about diamonds, sapphires, emeralds and rubies as the jewels that catch the eye today—and inspire greed. But those gemstones have not always been the only ones to be considered as worthy ornaments of the rich and powerful. In modern times, we consider diamonds, rubies, sapphires and emeralds to be precious gemstones (not semi-precious, which is where most other gems are classified). Precious stones get the big bucks. However, the ancient Egyptians prized glass, both from meteor impacts and the glassblowers of ancient Hebron. Jewelry from ancient times was a sign of status and anything rare could be made into ornamentation. Prized jewelry in ancient times includes stones that are easy to work: amber, turquoise, coral, lapis lazuli, malachite, obsidian and rock crystal. The Egyptians weren’t the only ones to use glass, or what we would call paste, gemstones. 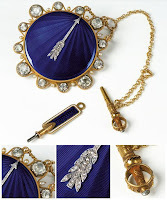 Paste jewelry became popular with in the 1700’s when sumptuary laws relaxed—or were ignored. In England and most of Europe, sumptuary laws regulated what people could buy and wear based on class. No one was supposed to dress above their rank—and that meant jewels were not allowed to the lower classes. However, as the middle class increased in size and power, they wanted to flaunt their wealth. The paste or glass jewels of the 1700’s turned out to be just the thing for them—something new, a little bit rare, and glittering. 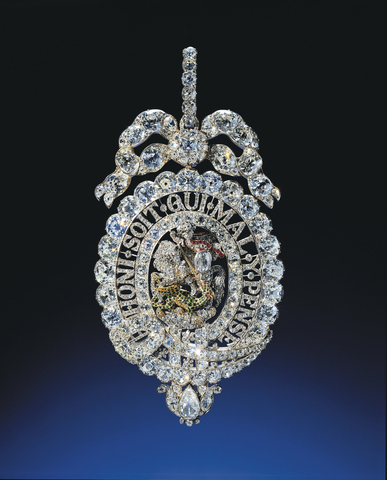 Jeweler Georges Frederic Strass moved to Paris in 1724 and became jeweler to the king—he also invented the rhinestone, something we think of as ‘cheep’ today but it was a hit with those who had money in the 1700’s. Value has also always been given to the rare, the brilliant and the large, and value has been given in terms of luck or other properties a stone might bestow on its wearer—either heath, protection or even clear vision. We’ve attached gemstones to be the birthstone of someone’s birth month, and various cultures have assigned properties to various stones. Opals are thought to be unlucky to any except those born in October. For good luck, there are moonstones—those gems with a smooth, oval surface and an opaque coloring that looks almost like moonlight. Jade is also considered lucky by many, Ancient Egyptians thought it brought balance. 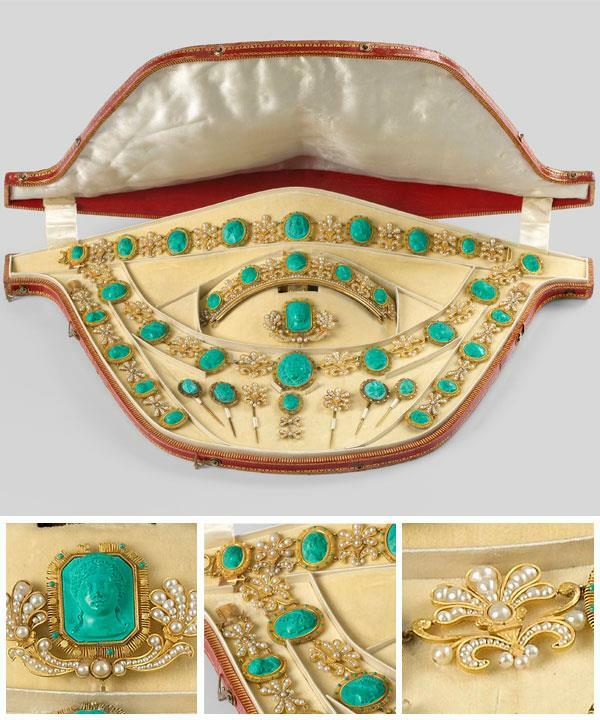 Jade was the stone of emperors in China, and prized by civilizations in Central America, but appears only rarely jewelry of the Georgian era and Regency. It could be worked into rings or bracelets or used in broaches. Bloodstone, jade, carnelian, ivory and other softer stones could also be carved, and that made them useful as well for signet rings. The most popular stones for a gentleman’s signet ring to judge by the jewelry that has come down to us seems to have been ruby, amethyst, carnelian and lapis lazuli. Gold was also favored for signet rings and fobs since it could be molded and shaped. Diamonds, of course, are still prized for rarity, clarity, color and hardness. Just as gold does not tarnish, a diamond can outlast almost anything. It can be cut but not carved. Colored diamonds—blue and yellow—are among the rarest of gemstones. A scandal over a lavish diamond necklace was said to be part of what brought about the French Revolution and Marie Antoinette’s death. 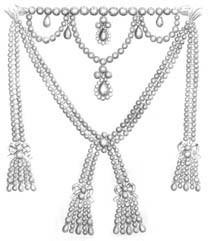 It was thought she had commissioned the necklace at a time when the country was suffering from poor harvests. In truth, her name had been used in an elaborate scheme involving a bishop and the queen’s staff to have the necklace made and then stolen away so the stones could be broken up, recut and sold. 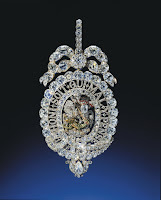 Other diamonds such as the Regent Diamond (that’s French Regency) which Marie Antoinette once wore, the Hope Diamond (a blue diamond said to have come to Europe in the 1300’s and now in the Smithsonian), or the Koh-i-Nor (a legendary stone said to have once been 800 carets and the eye of an Hindu god, but cut down to 186 carets and which came into the British Crown Jewels when given to Queen Victoria), are said to be cursed, not blessed. Such stones always seem to have a past to them—and a bloody history. But that doesn’t stop anyone from wanting to own and wear jewels. 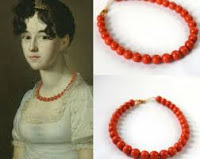 Fashions prior to the Regency display extravagant jewelry in portraits. The Tudors loved to be painted with jewels, but the jewels are often shown with heavy settings. Cuts were also often not what the cuts we value today. As gold-working skills improved, parures came into fashion in the 1600’s offering a suite of matched jewelry. This might include: a diadem, tiara, comb, bandeau, choker, necklace, earrings, brooch, stomacher, bracelets and rings. Parures might have one gem dominant in the set or might be complimenting gems, such as ruby and diamond or amethyst and diamond or emerald and diamond. Gentlemen, too, of the 1700’s flaunted wealth and status with sparkles. The Macaronis are shown with diamond buttons, diamonds on the heels of their shoes and jeweled buckles. Sword hilts were often decorated with gold, jewels, or even inlay. However, the French Revolution swept away the fashion for showing off jewels when it became dangerous to look like an aristo. The early 1800’s fashions were also greatly influenced by the antiquities being discovered and returned both to Europe and England in drawings and stories. 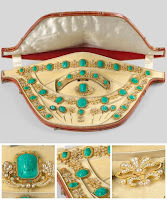 The craze for Egyptian came and went, bringing with it an influence on jewelry as well as fashion and furniture. And then the style became neo-classical, copying Greek and Roman images and statutes. Now young ladies wore wreaths or flowers or simple strands of pearl. Diadems and armlets came into fashion as did copies of Greek and Egyptian jewelry. Earlier valued stones again became fashionable—amber, coral, turquoise, lapis and malachite are seen in many examples of jewelry for this era. Gold work became popular with simple gold necklaces, bracelets or chains that could be woven into the hair. Garnets, topaz, agates, carnelian and aquamarines became popular. Wedgewood brought into fashion jasperware, beads and cameos. Brummell influenced restraint for the gentleman, who might sport a jeweled snuff box (and Brummell had a huge collection of snuff boxes), or a signet ring or a single jeweled fob—but to do more was deemed slightly vulgar. But a gentleman might also carry a jeweled toothpick case, if he’s a bit of a fop, as Jane Austen has her character Robert Ferrars design and buy in London. However, not all ladies followed the fashion for minimal. 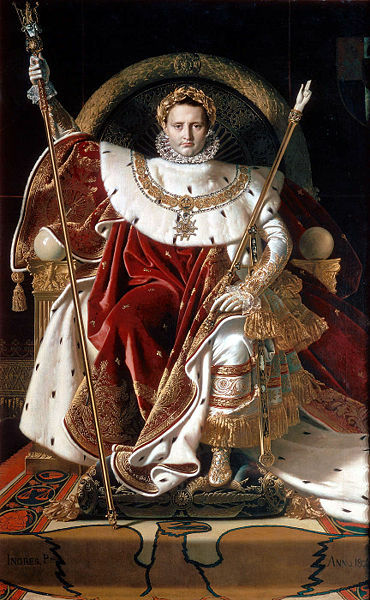 Certainly after December, 1804, when Bonaparte crowned himself Emperor of France and brought the bling and a court back to France, the style for more jewels to establish status followed. 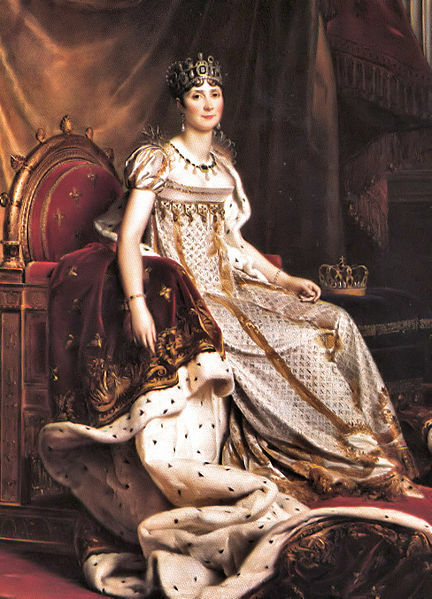 The Empress Josephine led fashion in France and her elegant style carried over to England. She was noted for her taste and restraint, but Bonaparte had no such inclination. He was as fond of jewels in the hilts of his swords as he was of crowns and diamonds scattered about on watches, clocks and his ladies. The Prince Regent, too, loved his glitter and added to the British Crown Jewels. 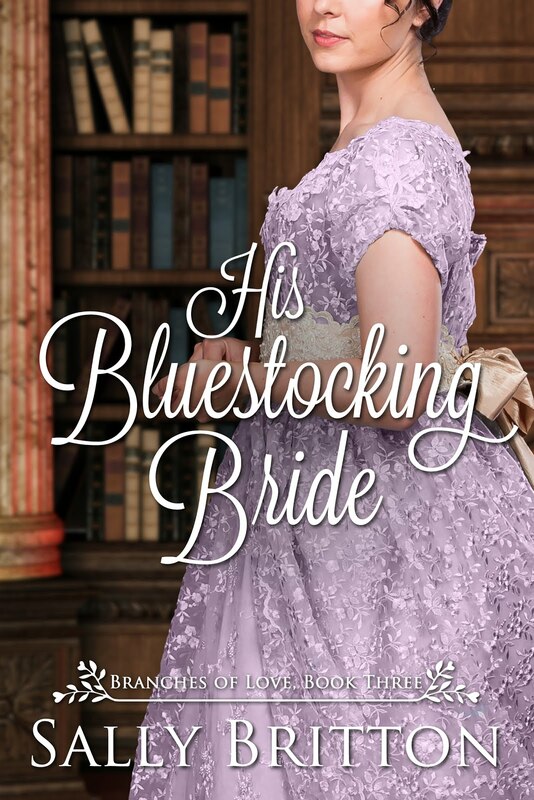 Venetia Murry in An Elegant Madness, notes, “The Prince was clearly unable to pass a jewellery shop without buying what he referred to as a 'trinket', meaning anything from a diamond tiara to a butterfly brooch with emerald eyes. Among the fashionable jewellers he patronized were Hamlet's—whose customers included the Duke of York, the Duchess of Cloucester and various foreign royals—Thomas Gray in Sackville Street and Phillips in Bond Street. 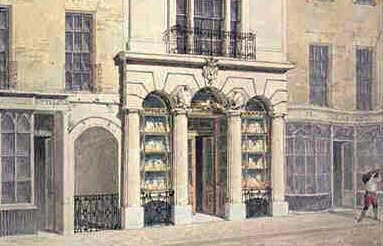 But his favoroute by far was Rundell and Bridges on Ludgate Hill, the principal goldsmiths and jewellers at the time. After 1805, that shop became Rundell, Bridge & Rundell. Thomas Gray on Sackville Street was patronized by young Prince George and is listed as active until 1805. Stedman and Vardon are also listed in as jewelers to Queen Charlotte in 1796 (and in 1795 as John Stedman, Samuel Vardon and Thomas Vardon), Goldsmiths and Jewelers at 36 New Bond Street. In 1815, the Congress of Vienna mixed English aristocrats with European once more and held lavish balls, masquerades, and the jewels once associated with royalty returned. While daytime jewelry remained restrained—a watch, broach, or a ring—evening wear became more fussy (frills, ribbons, ruffles) and for important occasions, ladies again began to done their finest jewelry of diamonds, sapphires, emeralds and rubies to show off their wealth and status. What's in a Georgian Name?